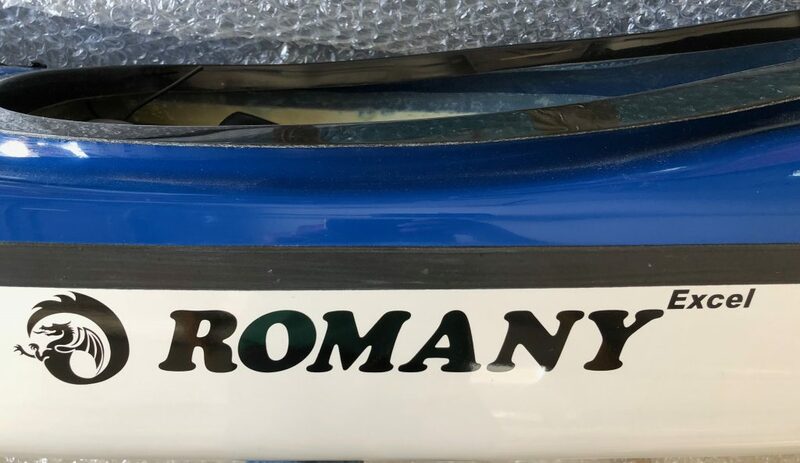 this is a big boys toy, introducing the mighty romany excel, biggest keyhole cockpit of any kayak, and good for 102+kg guys. A manoeuvrable and directionally stable kayak designed for the extra-large paddler. Designed for rough water and ease of handling in all conditions. 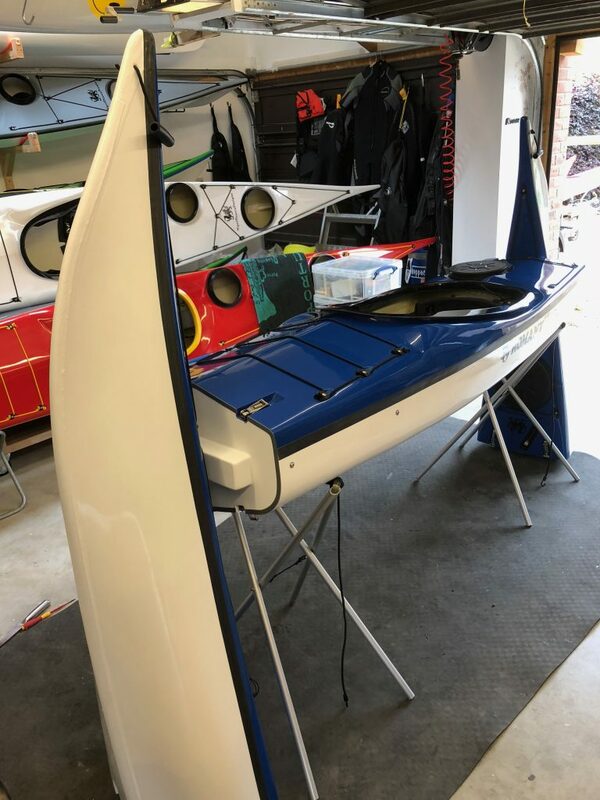 Due to boxy rails this kayak will also be suitable for the paddler who wants more stability. An ideal kayak for the 16+ stones person (102+ kilos). The kayak has a larger and wider keyhole cockpit and offers extra leg room due to a raised area either side of the cockpit. The kayak is fitted with the High performance glass seat unless otherwise requested. The kayak has a low rear deck for easy rolling, a keyhole cockpit that gives excellent grip, control and allows quick exit if need be. 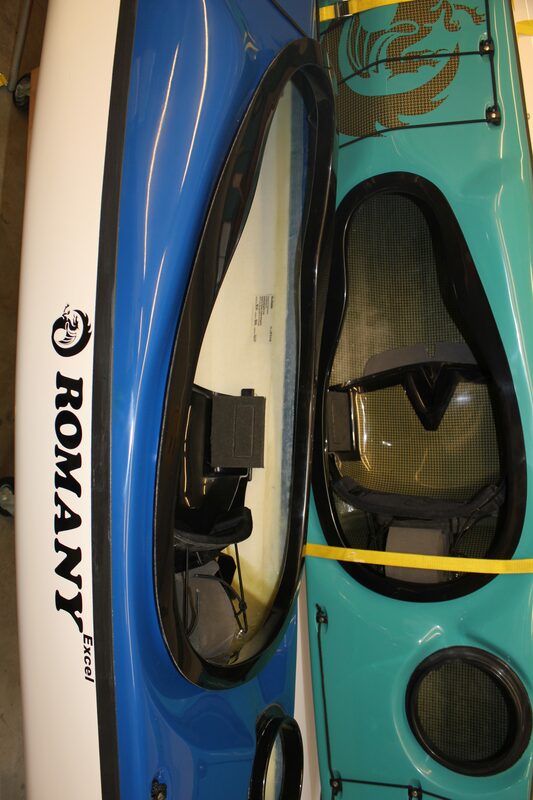 The sloping bulkhead behind the seat allows the kayak to be emptied by lifting only the bow, no x-rescue is necessary. A day/weekend kayak for the extra-large paddler, length: 510 cm, width: 56.5 cm, depth: 36.5 cm, overall volume: 323 litres, front hatch volume: 67 litres, cockpit volume: 150 litres, day hatch volume: 47 litres, rear hatch volume: 59 litres.